JACK IS FACING HIS GREATEST BATTLE YET! Japan is threatened with war and samurai are taking sides. As the blood begins to flow, Jack’s warrior training is put to the ultimate test. 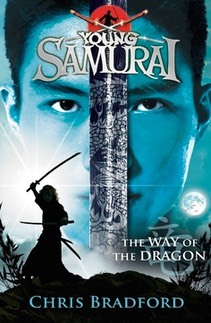 His survival - and those of his friends - depends upon him mastering the Two Heavens, the secret sword technique of the legendary samurai Masamoto. But first Jack must recover his father’s prize possession from the deadly ninja Dragon Eye.